The Texas Success Initiative (TSI) Assessment is a state-legislated program designed to help students succeed in college by determining your basic skills in Math, Writing, and Reading. Prior to completing the TSI Assessment, students are required to complete a Pre-Assessment Activity (PAA). The PAA is not a separate test; it is an activity designed to inform students about the importance of the TSI, to provide them with helpful resources prior to testing, and to give information about TSI requirements. To complete the required TSI Pre-Assessment Activity for Texas A&M University-Commerce, please click here. Please click on the collapsable links below to see more information about the TSI Assessment. What is the TSI Assessment? How does it work? The TSI Assessment is a program designed to help your institution determine if you are ready for college-level course work in the general areas of reading, writing and mathematics. This program also will help determine what type of course or intervention will best meet your needs to help you become better prepared for college- level course work if you are not ready. If you are an incoming college student in Texas, you are required to take the TSI Assessment — unless you are already exempt (see exemption requirements in the "Do I Have to Take the TSI Assessment?" tab below) — to determine your readiness for college-level work. Based on how you perform, you may either be enrolled in a college-level course that matches your skill level or be placed in the appropriate developmental course or intervention to improve your skills and prepare you for success in college-level courses. If you are not exempt from taking the TSI Assessment, you will be asked by your college or university to take three tests: one in mathematics, one in reading and one in writing. Where necessary, you may be given an additional diagnostic test in a particular subject. This test is designed to provide more detailed information regarding your academic strengths and weaknesses. These assessments include multiple-choice questions that are aligned to the Texas College and Career Readiness Standards. For the writing assessment, it’s likely that you will be asked to write an essay. The assessments are computer adaptive, which means that questions increase or decrease in difficulty level depending on how you respond. The assessments are untimed; however, it is important to allow yourself enough time to complete each test because the results are a key factor in determining the course or courses in which you can enroll. When you complete the assessment, you immediately receive information on your score and your skill or proficiency levels. Not all incoming students need to take the TSI Assessment. There are many ways you can be exempt. Qualifying for a TSI Assessment exemption means that you can enroll in any entry-level college course without restrictions. In other words, there are no prerequisites for enrollment in college-level courses. Please Note: Your combined score is ONLY a combination of your Math and Critical Reading sections. Do not include any other section in calculating your combined score. PSAT scores CANNOT exempt you from the TSI Assessment. You must take and meet the minimum requirements on the official SAT. While certain Dual Credit programs throughout the state may use PSAT scores to issue temporary TSI Waivers, PSAT scores cannot be used by students entering a college or university full time. Please Note: The Algebra II and English III EOCs are optional for high schools to administer. Most high schools in the state opt out of testing for these two EOCs so please do not confuse them with the Algebra I and English II EOCs which cannot be used for exemption. You may be exempt from the TSI Assessment if you meet any of the following criteria. Students who were honorably discharged, retired, or released from active duty on or after August 1, 1990 may be exempt. A DD214 form showing Honorable Discharge status in Section 24 "CHARACTER OF SERVICE" must be submitted to the Veteran's Affairs Office for verification of exemption. Students that are on active duty in the United States Armed Forces or are a member of the reserve component of the United States Armed Forces for at least three years prior to enrollment may be exempt. Proof of active duty status must be submitted to the Veteran's Affairs Office for verification of waiver. Students who have graduated with an associate's or baccalaureate degree from a regionally accredited post-secondary institution or from a recognized international institution may be exempt from the TSI Assessment, pending an official transcript that proves they have graduated. Students whose previous Texas public college or university has determined that they have met the minimum passing standards in reading, writing, and/or math may be exempt. An official transcript of this declared status must be provided. Students who have completed the appropriate college-level or developmental coursework in the corresponding subject areas may be exempt. For a complete list of the coursework that will exempt you from the TSI, please follow this link to the TSI Informational Flyer. For a full and complete list of exemptions for the TSI, please view the Texas Administrative Code. What is the Mandatory Pre-Assessment Activity (PAA)? To take the mandatory TSI Pre-Assessment Activity (PAA) for Texas A&M University-Commerce, please click here. Before you take the TSI Assessment, you must participate in a Pre-Assessment Activity. The college or university at which you take your test is required to provide the Pre-Assessment Activity as well as document your participation, so it is very important that you complete this activity BEFORE you take the test. You will not be allowed to take the TSI Assessment until you have completed this activity. Texas A&M University-Commerce offers the TSI Assessment year-round for students committed to attending the university, as well as students planning to attend another college or university in the state of Texas. To register for the TSI Assessment at Texas A&M University-Commerce you will need to first confirm which sections of the TSI you need to complete (see exemption requirements listed above to determine if you are exempt) and then pay for your exam through our MarketPlace website. Each section of the TSI assessment costs $15 and fees are non-refundable. Once payment has been submitted, you will receive an email with a 5 digit order confirmation number; call the Testing Office at (903) 886 5122 to set up your testing appointment. **If you plan to attend Texas A&M University-Commerce but would like to test at a location closer to your home, please view the "Can I test at another center? What is the voucher system?" drop down menu below for information about our testing voucher system. How Can I Study for the TSI? You can also utilize CollegeBoard's FREE Web Based Study App by clicking here. Please be aware that the links listed above are official through both ACCUPLACER/TSI and the Texas Higher Education Coordinating Board (THECB). While you may use any resources that you deem helpful, please note that any online resources outside of these links are not sponsored or approved by ACCUPLACER/TSI or the THECB. If you test at Texas A&M University-Commerce, your scores are available to us immediately upon completing your exam. If you test at another TSI testing location in the state, your scores can be accessed through the online TSI database, however, you must grant TAMUC access to look up, view, and use your scores for placement and enrollment purposes. To grant TAMUC access to look up your previous TSI scores from another institution, please visit tamuc.edu/tsiscoreform or click here. Can I test at another center? What is the voucher system? Students that need to complete the TSI but would like to test closer to their home location are welcome to test with another testing center in their area. However, it is important to understand that many testing centers in the state of Texas cannot accommodate students that are not their own and are considered "closed testing centers." Because of this, testing locations for the TSI are limited. Many schools in the state that can accommodate outside students require a special testing voucher from the student's intended institution. Testing vouchers are created by the student's indented institution (in this case, TAMUC) and are sent to the participating testing location closer to the student; they are unique codes that link the student's information to the test sections needed and are entered at the time of testing. **PLEASE NOTE:** Due to the increase in volume of requests from Texas A&M University-Commerce’s students for vouchers to complete TSI testing at other testing locations, the Testing Center will no longer be issuing remote vouchers for students within 1 ½ hours driving distance to A&M-Commerce. You will need to make arrangements to test in our testing center here at Texas A&M University-Commerce. A staff member from the Testing Center will give you further information about the testing centers available in your area and information needed to pay for your testing voucher. Vouchers cost $15 per section of the TSI needed, but you will also be responsible for any testing fees required by the location at which you test. Please Note: If you are planning to attend an orientation and need a testing voucher, you will need to request this voucher as soon as possible. You must request and pay for your testing voucher no later than three (3) business days before your scheduled orientation date. Additionally, by requesting and/or receiving a voucher from TAMUC to test at another location, you are not automatically scheduled at your desired location. You are still required to contact your desired testing location to set up an appointment date and time, and pay any testing fees that that institution may require. A voucher does not guarantee you a seat in your location's testing lab. When requesting a voucher, please allow yourself ample time to make the necessary payment to TAMUC, receive your voucher, contact your desired testing location, and schedule your testing appointment. Although there are designated “passing scores” for the TSI, the TSI itself is not a pass/fail assessment. It is a diagnostic tool used by the state and universities within the state to determine your placement. If you do not meet the minimum required score for the areas of Math, Writing, or Reading, you will be restricted from enrolling in college level courses in those respective areas and will be placed into developmental or intermediate level courses. If you do not meet the minimum required score, you may choose to re-test in order to improve your score(s) or place higher, though advising with your Success Coach is recommended prior to retesting. Can I retest? How many times can I retest? If you do not meet the minimum required score for college level placement may choose to re-test in order to improve their score(s) or place higher. If you only want to improve your score in one area of the TSI (i.e. Math), you will only re-take that section and will not be required to re-take all three sections. There is no limit to the amount of times you can re-test each section, however, it is strongly advised that you (re-)schedule your testing appointments after allowing for sufficient study time. You should not attempt to re-test immediately, as it is unlikely that your score will improve without revisiting relevant study material. I did not complete my TSI requirement before my scheduled orientation date. What should I do? 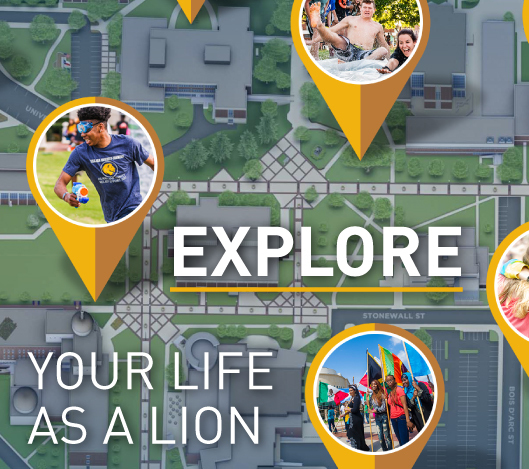 Orientation is a requirement for all incoming freshmen and is a crucial first step for attending Texas A&M University-Commerce. Do not reschedule or push back your orientation date until you have completed TSI testing. If you have not completed your TSI requirement before orientation, you will still be able to participate in all orientation activities, but you will not be able to register for classes with your Success Coach. A registration hold will be placed on your account until you complete your TSI requirement. It is important to take your TSI as soon as possible following your orientation so that you can secure the schedule that you want. Once you have completed your TSI requirement, your registration hold will be lifted and you can contact your Success Coach to register for classes. I took the TSI at another location. How do I send my scores to TAMUC? If you took your TSI Assessment at another location and used our voucher system, your scores were automatically updated on your student record. If you took your TSI at another location but did not use our voucher system, please click here and complete the form necessary to grant TAMUC access to your previous TSI scores.